So Much Random Advice… Where do I Start? The big problem with self publishing as an industry – much like any other industry – is that everyone has an opinion on what you should be doing. Newsflash – I don’t care. In a world where everyone seems to be obsessed with likes, follows, subscriber lists, ranks, and other meaningless nonsense, who’s left to actually care about how many customers they have? Call anyone out on it and see what happens. Sure, you got lots of likes on your Facebook post – how many sales did you make? How is your Pinterest account serving your business goals? Got your book publication schedule mapped out for the next 12 months? Awesome. Do you have an audience who’s going to buy any of them? Sure, I could fill this blog up with top-ten lists of “Where to Find Great Cat Memes” or “My 500 Best Marketing Tips!! !” yada yada yada, but I’d rather not be part of the problem. In that vein, today we’re talking to USA Today bestselling author Jessi Gage. Like many authors, Jessi was swamped with random tactics to try out, and wasn’t sure what was going to work. She was starting to get burnt out. So, she re-evaluated. By asking herself “Is what I’m doing going to help me reach my goals?”, she was able to narrow down her focus and start seeing results. Last summer, my family moved out of Seattle and into a lovely home on a wooded acre out in the country. One of the first things I did after we unpacked was hit up the nursery for plants. I wanted to come in the driveway and see COLOR all around my new house. I spent over an hour picking out small bushes and blooming plants that would do well on our largely shady property. I carefully chose where each new plant should go, lined them up so every bed had some color, and started digging. It wasn’t long before I realized I had a problem. As I dug my spade into the lush brown soil that would become the home for my new plants, I hit landscape material—tough, black plastic meant to keep the weeds from growing. A smart novice gardener would have gotten up, dusted off her knees, gone inside and done some research. I did not do this. I am an experimenter at heart. And I hate delays. I was already on my knees, and my hands were already dirty. So instead of hitting the pause button on the activity in order to do some research, I decided to experiment with my plants. I planted half of them above the landscape fabric, and for the other half, I punched through the fabric and planted below. Guess what. Half my plants were dead by the end of the summer. They didn’t get enough nutrients from the measly two inches of soil above the material. By choosing convenience over research, I risked the lives of some really pretty plants. I have a lopsided garden that will require a lot more tending this spring than it would have had I done the job right the first time. With your writing business, are you committed to figuring out the best road to success or do you have a tendency to do what’s fastest and easiest? Are you a researcher or an experimenter? I have learned over the years that when it comes to growing my writing business, it pays off to combine research and experimentation. I’m showing you my entire lopsided business garden so you can (hopefully) learn from my successes and mistakes and have a smoother journey. It’s impossible to assess what works and what doesn’t work without first having a goal in mind. For some writers, the goal is to share the work they’re so passionate about writing. For some, it’s to gain the validation of being a Published Author. For some, it’s to make a supplemental income. For some, it’s to make a livable wage. For some, it’s to get rich. I want to make and maintain a livable wage as a writer. Each year I want to make more than the year before. These goals are what I choose to work hard for. They are what I strive for through all my research and experimentation. Whatever you are striving for in your writing, I hope you want to grow. Growth involves taking risks and trying new things. Here is what I’ve tried, the risks I’ve taken, and the rewards I’ve reaped. Failed Spectacularly or Lesson Learned? Strategy. If you have a goal, you need a strategy to achieve that goal. Early in my writing career, my goal was to be a Published Author. The strategy at that point involved sending out many, many queries and hoping someone responded. This strategy eventually paid off. In 2013, I signed with a small press for my time-travel romance Wishing For a Highlander. Goal Achieved! The new goal became making a livable wage. My strategy at that point was to write more books. Soon, I had two novels published with that small press, and I had two more scheduled for release in 2014. But before those two contracted books could make it to publication, my publisher was absorbed into a larger publisher. Only a year after having my first two books published, I was given a choice. Have my titles acquired by the Big 5 New York Publisher that absorbed the small press I was with OR get my rights back. It was decision time. Considering that a year before, my biggest dream had been writing for a major publishing house, one might think the decision would be easy. But I did something I didn’t do with my gardening debacle. Rather than do what was easiest, signing with a Big 5 publisher, I took a step back, revisited my goals, and did a ton of research. I’m glad I did. Based on my goals and the information I had available at the time, I made the decision to get my rights back and go indie. The takeaway message is that the decision to go indie was right for me, given my goals. Once I had control over everything from cover design to marketing strategy, I saw a marked rise in income. I also had access to all the data. I could easily assess whether a new strategy was working or not. Going indie, I began assuming all the risk, and I became the one to reap all the reward. In my four years of being an indie romance author, I’ve employed a whole slew of strategies to achieving my goals. Some strategies have worked wonderfully. Others have become lessons learned. Before we get to the good stuff (charts and data showing what worked! ), here are some strategies that have turned into lessons learned. I used to write regular blog posts. I would post reviews of books I loved. I would feature other authors on my Free Publicity Fridays. I would write a bit about life, making sure to laugh at myself often. I would write about indie publishing, sharing tips and lessons so others might not have to learn the hard way. I don’t blog anymore. For a couple reasons. First and foremost, blogging wasn’t in my wheelhouse. Have you heard this one: Put most of your energy into developing your strengths rather than your weaknesses? Well I was putting a lot of energy into something that was a weakness at the expense of my greatest strength: Writing. Some people thrive on writing weekly or even daily blog posts. They adore connecting with their readers on their blogs. They always have something of value to share with their subscribers. It’s like their brains are constantly churning with fantastic ideas for content, and they HAVE to share or die. Not so for me. My brain is not constantly churning. At least not with blog content. With stories, yes. With crochet patterns, yes. With my mom-wife-daughter to-do list, definitely. But not blog content. For me blogging was a chore. Some days I would dread setting up the post for the next day. I would stay up late to get it done and then need to nap the next day instead of using that time to write. Blogging was adding stress to my life. Second, blogging wasn’t helping me toward my goals. I wasn’t seeing any correlation between sales and blog posts EXCEPT for posts about indie publishing. Most of the time, my posts yielded a few comments from friends and readers who already had whatever books of mine they were going to buy. I wasn’t reaching new readers or securing any sales. Example: some people found my Air-Conditioner-In-A-Bucket saga amusing, but reading about my struggles to complete a simple (ha-ha-ha-ha-ha) DIY project didn’t inspire anyone to buy a book from me. That post didn’t support my goals. Alternatively, when I posted about how much money I was making or how much I spent on marketing or how much I was getting off a royalty-share deal on Audible, my sales would jump. My social media follows would go up. This information was useful to authors, interesting to readers, and ultimately supported my goals. Incidentally, these types of posts were also the most fun for me to write. Your Turn: What’s your wheelhouse? What are your strengths in relation to your writing business? Are you spending enough time on those strengths or are you putting too much of your valuable time into areas that aren’t helping you toward your goal? Another strategy I’ve used to grow my writing career is adding a genre to my catalog. The first book I had published was Wishing For a Highlander. Upon publication, it did well. In fact, it became a genre bestseller (time-travel romance) and remained a bestseller for years. Wishing wasn’t the first book I wrote, though. I had written a couple contemporary romances, which I had queried with less exciting results. However, when the editor at my new publisher acquired Wishing, she agreed to look at the two contemporary romances I had. She liked them! They made the publishing company’s roster. But they didn’t sell well. I hoped with time, my contemporaries would catch on, because I loved writing two genres. I would write a contemporary then a Highlander then a contemporary then a Highlander. I thought if I built the contemporary side of my catalog enough, it would eventually yield results. I was wrong. This is where I had to have a long, hard look at my goals. Did I want to write everything I loved or did I want to make a livable wage? Livable wage won out. After three full-length novels and a novella, I called an end to the contemporary-romance experiment. It wasn’t helping me toward my goal, so it had to go. I decided to focus my writing time where it makes the most sense, and for my goals, that means writing Highlanders. If it doesn’t wear a kilt, I’m not spending the bulk of my time on it. Note: This isn’t the end for my contemporaries. I continue to strategize on how to sell the books I have in this genre. I just choose to put spare resources into them rather than making them my focus. Your turn: Are you letting your goals guide your writing? In what ways can you hone your writing time to best suit your goals? So yeah. I’ve had some misses. But I’ve had some hits too. Trends come and go. Boxed sets have been around for a while, and I can’t predict when their popularity will run its course. But for me, participating in a series of boxed sets paid off in a big way. With boxed sets, there are pros and cons. Cons include the time it takes to write something for them and the low royalties as a result of bundle pricing and splitting ten-ways. Pros include exposure and pooled marketing resources. I decided to risk the time, money, and energy required to participate in a boxed set. My goal going in was to grow my newsletter and nab a bestseller credential. It worked! As the bar graph shows, newsletter growth occurred for the first boxed set release (orange arrows indicate quarters when I had a boxed set release). The other two boxed sets did not produce newsletter growth, but the second of the three boxed sets got me and my co-authors a USA Today Bestselling Author credential, which carries a lot of weight when it comes to landing big promo spots, which leads into my next strategy. Note: Those two tall bars you see for 2016 quarter four and 2017 quarter two—they keep going off the chart. We’ll talk about those in a minute, and you’ll get to see just how high they go. The first big email promoter that comes to mind is BookBub. With good reason. BookBub works. I’ve done four BookBub promotions. These promotions have by far been my best source of growth in newsletter subscribers and sales, and the cost has been well worth it. I have always made back my investment in a BookBub ad. This graphic holds a lot of information. It backs up this point, and some points to follow. Let me talk you through it. The dates along the bottom represent every month since I’ve been an indie author. The bars represent number of books sold each month. Each book in my catalog is a different color. You can see right off the bat that Wishing for a Highlander (dark blue) accounts for the vast majority of my sales. My contemporary romance sales are represented by tiny slivers at the tops of the bars. On top of this sales data, I’ve overlaid boxes representing promotion events. Green is for organized email promotions. I’ve used a larger font for the green text because email promotions are far and away the best promotion strategy I’ve used. There are four months with BookBub promotions. I have always done $0.99 promotions (discounted from $3.99). BookBub months always produce amazing sales numbers. Not only do sales go up for the month of the promotion, but sales continue to be better than average for a few months following the promotion. The data also show that sales increase even more when other newsletter promotions run simultaneously with BookBub. Look at June 2015. I ran a BookBub promo along with an Ereader News Today and these promotions coincided with a new release in my Highlander series. Looking at the data, you can see that the BookBub promotion I ran in June 2017 produced far fewer sales than usual for a BookBub month. On the surface, this might seem disappointing, but I was actually quite pleased with the sales numbers that month. That particular promotion was for the third book in my series, whereas the other three have been for the first book in the series. My third-in-series had seen decreasing sales (shrinking green bars), so I ran the BookBub promotion to bring some attention back to that book. Now, take a look at December 2016. That month, I had a multi-author giveaway scheduled. I did my best to get a BookBub promotion, but my book was rejected (Yes, I still get rejections. Lots of ‘em). But I did find some other vendors of email promotions to work with. There are lots of these promotion sites around, and there are always new ones jumping into the mix. As far as I know BookBub is still the biggest and hardest to get, but there truly is an email promotion for every author. The months of best newsletter growth coincide with BookBub months. Your takeaway: Running organized email promotions is a good way to gain exposure for your books and will likely result in improved sales numbers for a time. First-in-series books may do better. The more promotions you run at one time, the greater the results. But running these types of promotions usually costs money. You’re not just paying a company like BookBub to promote your book, but you’re discounting your book and taking a hit on royalty rate, depending on your e-retailers. Your royalties may not soar like your sales, but you should see a bit of a boost that tapers off as your sales normalize. Another strategy that has worked for me is getting my Highlander romances in the hands of audiobook listeners through the ACX audiobook production platform. My amazing narrator Marian Hussey breathes new life into my stories and characters and is a huge part of the success I’ve found through this sales venue. The blue boxes on the sales chart show new releases. Most of my new releases in the past years have been audiobook releases. While I haven’t seen spikes in sales along with my audiobook releases, I have seen the troughs in my sales numbers normalize at a higher level. This higher normalization is apparent when you compare 2014, 2015 with 2016, 2017. Another benefit to selling audiobooks is that ACX will occasionally run a promotion and include my first-in-series. You’ll see those events in blue. These ACX Buy-One-Get-One-Free events perform almost as well as email promotions. And they really are email promotions. ACX and Audible send out email promotions advertising their sale, and if your book is featured you get clicks! How do you get a book featured? One way is to ask. Yes, ask. You would be surprised how many retailers are happy to include you in an upcoming sale if you simply bring yourself to their attention. Try emailing the marketing arm of a retailer you do business with. Let them know you’d love to run a sale, and do they have an event coming up you can participate in with a certain book. This is the place where you list any sales successes, bestselling statuses, and fantastic reviews. Your takeaway: You’ve heard that the best way to sell books is to write more books. This is definitely true. 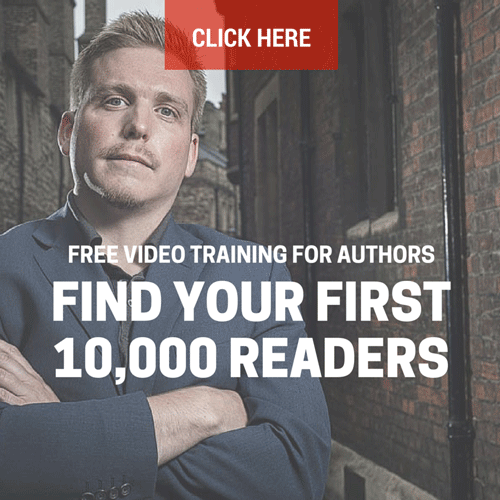 It’s also true that you can take one book and sell it in as many places and in as many formats as possible and find even greater growth for your writing business. Also, don’t be afraid to ask to have your books included in an upcoming promotion. Be a squeaky wheel. Remember my contemporary romances that weren’t selling? I decided to make the first in the series free. At first, I tried an email promotion advertising the book for free for a limited time. I saw a large number of units move that month. These units show up on the chart as sales, but really, that very tall bar (purple for my book Reckless) is a bar of exposure. Even with that exposure, I didn’t see more than a negligible increase in sales in my other contemporaries, which had been my goal with the free promotion. So I kept trying. Next, I tried making Reckless a “perma-free” (It’s just free for all time now). This strategy can be controversial. Do we as authors want to give away our work and condition readers to expect free books? Trust me, it wasn’t a decision I made lightly. In the end, it was a choice to favor exposure over royalties for that particular book, and to that end, the strategy is paying off. Your takeaway: It’s okay to try something you’re not sure will work. It’s okay to do things that not everyone agrees with. It’s okay to experiment, to explore what works and what doesn’t. Even if you can’t clearly see results right away, it’s okay to wait and watch the data play out. When you’re indie, you’re the boss. There are many many more strategies you can use: Kindle Unlimited, foreign language translation, paid advertisements, and others my sleep deprived brain can’t come up with at the moment. Some of these, I’ve tried, some I’m currently trying but don’t have data to report on yet. The point is: your list of strategies might look different from mine. The key is to try. And to document whatever metric will help you determine whether each strategy is helping you toward your goal. I hear you saying, All this is kind of interesting, Jessi, but what about your goals? Are you making a livable wage? Is your income increasing each year as an indie author? Am I making a livable wage? Kind of. Is my income increasing every year? Kind of. Let’s tackle the increasing income question first. As you can see from this graphic, being an indie author doesn’t exactly make budgeting easy. From month to month, it’s difficult to predict what royalties will come in. Compounding the difficulty of predicting income is the fact that each retailer has a different lag time between sales and pay-outs. Taking the fluctuations out of the equation, I’ve included a trend line. Along this trend line is where I tend to predict what might come in. This helps with family budgeting and business spending. The trend line suggests that I’m making more on royalties each year, thus meeting one of my goals. But sometimes data tells conflicting stories. My chart of yearly income shows a flat result in 2016/2017. Alas, I am not on a trend to get rich on writing. At least not any time soon. Each year, I pour so much of myself into my writing business. I write books. I search out ways to sell books. I run promotions as often as feasible. I diversify into other formats. I learn new things. I interact with my fan base on social media. This is a full-time gig for me. And I’ll get there. I know I will. And you’ll reach your goals too, if you continue to work hard at growing your business. So that’s a “no” on increasing revenue last year. But how about livable wage? I haven’t exactly answered that one yet. And here’s why. The reality of owning any business is that you have to run your business. There are taxes to pay. There are expenses. If you want to market your books, you must create a budget for that. The reality of my writing income is that it is a supplemental income for my family. For some, that level of revenue each year would be enough. For me… it helps a great deal, but if my husband didn’t work, the types of risks I take with my business investments would look very different. Your takeaway: You have to try. What you put into your writing business is what you’ll get out. Let’s face it. Most of us aren’t going to be the hit sensation who gets rich off their first book, cranks out a bestselling series, and lives happily ever after off millions in royalties. Whether you’re the hopeless experimenter like me or the more cautious businessperson who leans heavily on research, you’re going to have to take some risks. You’re going to have to sink some cash into marketing, into diversifying, into branching out in whatever way makes sense for your genre. Some of your strategies will pay off. Some won’t. I hope what I’ve shared helps you think about risks in a well-rounded way and that you find your own comfort level for what you put into your business as a writer. Use the contact page on jessigage.com and drop her a line. There is no better motivation to finish her latest writing project than a note from a happy reader! While you’re visiting her website, sign up for Jessi’s newsletter so you never miss a new release. And now we’d love to hear from you: What are your top 3 marketing activities? What are your biggest lessons learned from things that have (or haven’t) worked for you? Leave a comment! And if you want a breakdown of “what works” to grow your audience and book sales, join one of our on-demand webinars – I’ll show you a simple three-step process you can put into practice and start seeing results by this time next week. Choose a time that’s convenient for you right here. I loved this post. It completely resonates for me. I’ve not been able yet to go through all these strategies, but I find the permafree first in series works beautifully – essentially ‘try before you buy’ for the reader. And e-mail promos always bring clicks. Thanks, Chris. I’ve tried a lot of things, and am happy to share my experience…the good and the bad. Hope you have good success growing your business this year! No amount of ads can make up for a mismatch of cover & genre even if both are good. Great marketing tips here, Lana! I need to get on some of these STAT! Jesse, Allways happy to chat about ways to do so. I got a lot out of this post. thanks for being so candid. 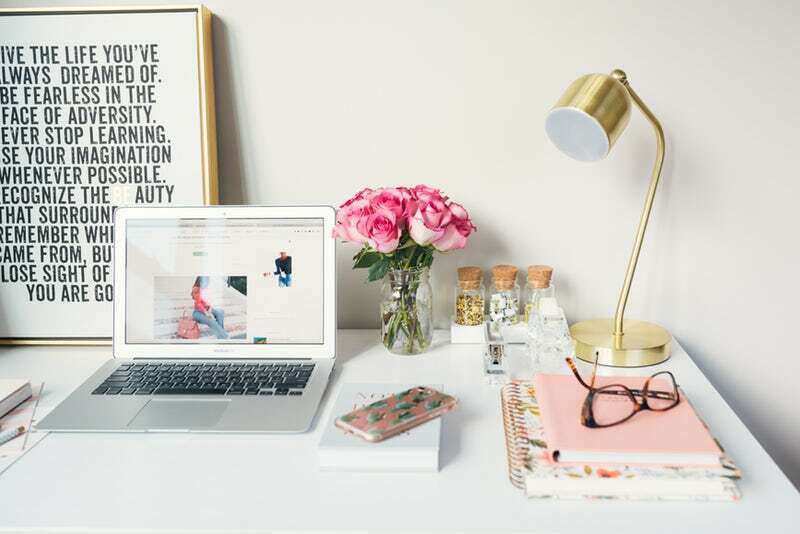 I admire your ability to set aside the things that don’t work (like blogging or like sticking to the genre that actually does well) and to be very focused on your goals. There are some good tips here, like the box set idea, which I am thinking about trying. Well done. Tracy, glad you found some tips. I’m learning as I go too. I’m interested in picking Lana’s brain on customer assessment. I have heard of CRM (customer relationship management), but struggle to implement it. Always learning! Loved your article, Jessi. There are times when I sit back and ‘lick my wounds’, totally out of ideas what to try next. And then, from out of the ether, there is a ray of sunshine and a new idea to try. Your article was the ray of sunshine I needed to pick myself up and try again. Thank you. Yes! Annette, I totally understand that down feeling. In the US right now, my sales are worse than they’ve ever been despite all the things I keep doing to pump them up. It’s hard not to get discouraged. At the moment, I am working hard on the “write another book” strategy. That one is uch more work than the others, lol! This was fantastic! Thank you for being so transparent. You’re welcome Amie. Thanks for commenting! Wow, everything I expected and then some. I am a two time author. I have never tried boxed sets as I write non-fiction educational entrepreneur type Books. Yet I think I could do series! esp. with my second book. And Yup BookBub are not an easy nut to crack Yet I Intend to crack that code and do as many promos as I can with them. Thanks, Julie! It was really fun to look at the data and write up this post. Since I don’t blog any more, guest posts like this are my outlet for my chronic tendency to overshare, lol! Loved the article, Jessi. Congrats on how well you’re doing. Thanks, JoAnne! Those Highlanders. Gotta love ’em! This gives me some hope of getting there. I have only two books published, (soon to be 3) but marketing has been a total struggle with all the information as to what to do and how to do it. Thank you for some practical proven tactics. Yes, it was a struggle for me with only two books out as well. Hang in there. Don’t let your muse feel discouraged. More books will provide many more marketing opportunities! Many thanks Jessi a fascinating article. I’ve some non-fiction already out there and am just finishing my first novel and find marketing a pain at times, reading others trials, tribulations and strategies always helps keep me positive. I feel like there’s a lot of sharing about strategies you should use for marketing, but not a lot of data showing the results in action. It helps to see what works and what doesn’t, even for an n of 1. Thanks for reading and commenting! Just wanted to say hi to Jack- I write literary too and it’s a little harder to do as an indie. I would love to connect with you and brainstorm ways we could either help each other or cross promote if it works. I’m always seeking other lit writers in Nick’s circle! my email is amy at amywaeschle dot com or you can find me on fb. Jack, I envy anyone who can write literary fiction. There’s definitely a market for what you write, and it sounds like you’re honing your marketing strategies to that market in a way that works for you. I know you will continue to do so. Thanks for reading and commenting! I’m interested in learning what marketing techniques work for different genres. I wonder about literary fiction, since I have no experience with it. Reviews are an excellent way to generate momentum. Definitely keep targeting that strategy. Amy, Glad to meet you. I’m glad you found some useful tips here. You taught me one, too. Craft Fairs. That’s got me thinking! I also love to crochet, and I would love to give away crocheted bookmarks as a promo. I could meet other crocheters at a craft fair and promote books there! You said: “I’m part introvert but I really enjoyed the conversations” …This is me too. Leaving the house is always a challenge, but once I’m with people, the excursion is usually worth the effort. I’m glad you’re finding ways to promote your books that are specific to your genre. It helps when we all share what’s working and what’s not. I’m curious how the schools thing goes for you. Best of luck! Thanks, S! Great tips. Would love to hear more! Thanks for sharing. Your experience and charts are very helpful. I’ve already started to see results on a small level with giveaways and email campaigns with others, Be they paid campaigns or with other writers. I’ve spent good money on ads and had much better results with the strategies you’ve discussed. Thanks again for sharing. If I were into tattoos, this would be on my forehead. It is arguably the best blog post I have ever read on the real-life of a writer and it gives me HOPE. Thank you, Jessi. Thank you Nick. Now, off to figure out how the heck to get those newsletter subscribers. There is definitely hope. It can be a real stretch for the old comfort zone to pile marketing activities on top of writing books (as if writing entire books with plots and characters and stuff isn’t enough!). But by focusing on a few techniques that work for you and your genre, you WILL reach your goals.